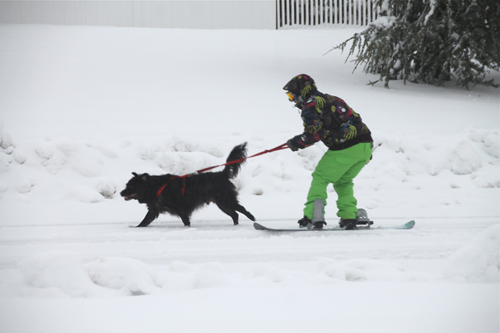 Long Island’s winter snowfall total for 2013-14 was record-breaking. When all was said and done, 63.7 inches had fallen, making last winter the second-snowiest on record for Long Island, according to National Weather Service recordings at Islip. While that falls short of the 73.5 inches that fell during the 1995-96 winter season — the highest snow total since record keeping began in 1984 — it beat out the winter of 2003-04 for the No. 2 spot by nearly five inches. Businesses weren’t spared by the slowdown in sales associated with the large amount of snowfall and persistent cold. Prominent downtown restaurant The Riverhead Project shut its doors in September. Owner Dennis McDermott blamed the closing in part on the harsh winter of 2014, which made it difficult to fill the restaurant with diners. Not only did the snow deter people from leaving their homes, other costs associated with the cold also hit business hard last winter, said Riverhead Business Improvement District president Ray Pickersgill, who also owns Robert James Salon and Spa in downtown Riverhead.